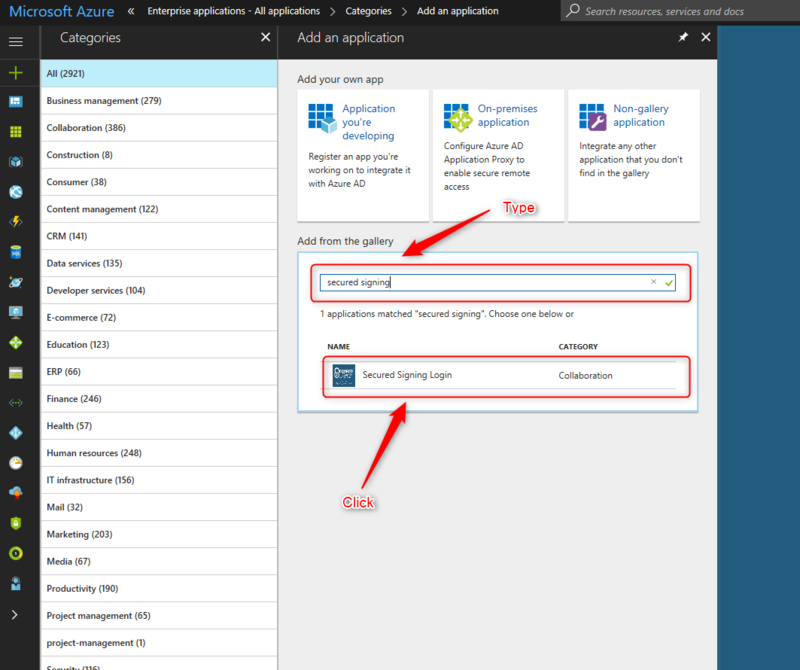 Setting up Azure Active Directory (Azure AD) for use with Secured Signing will allow the users can login Secured Signing by using their organizational account hosted in Azure AD as the Identity Provider. 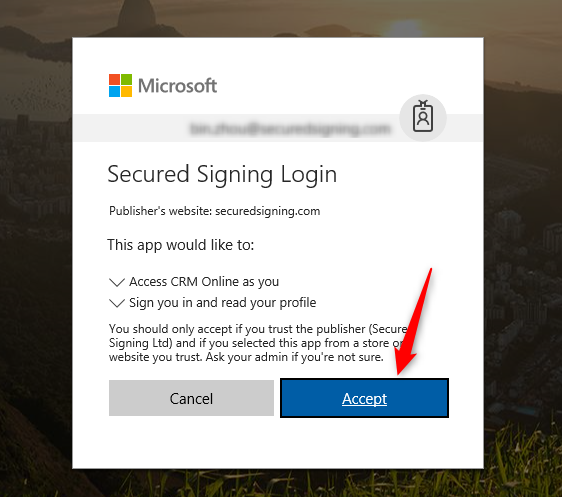 When the Azure AD single sign on option is enabled in Secured Signing, logged in users will not need to enter their password in Secured Signing. 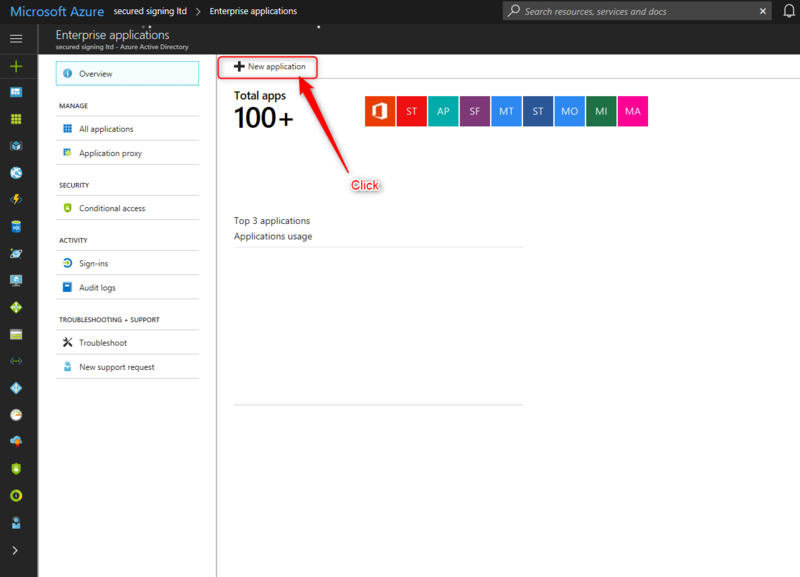 Install app in Azure AD for your organization. Configuration of your Secured Signing membership to accept authentication against Azure Active Directory. Make sure you login Azure AD portal (https://portal.azure.com) with administrator account and click "Azure Active Directory" icon. Click "Enterprise applications" menu item. Click "+ New appliction" menu item. 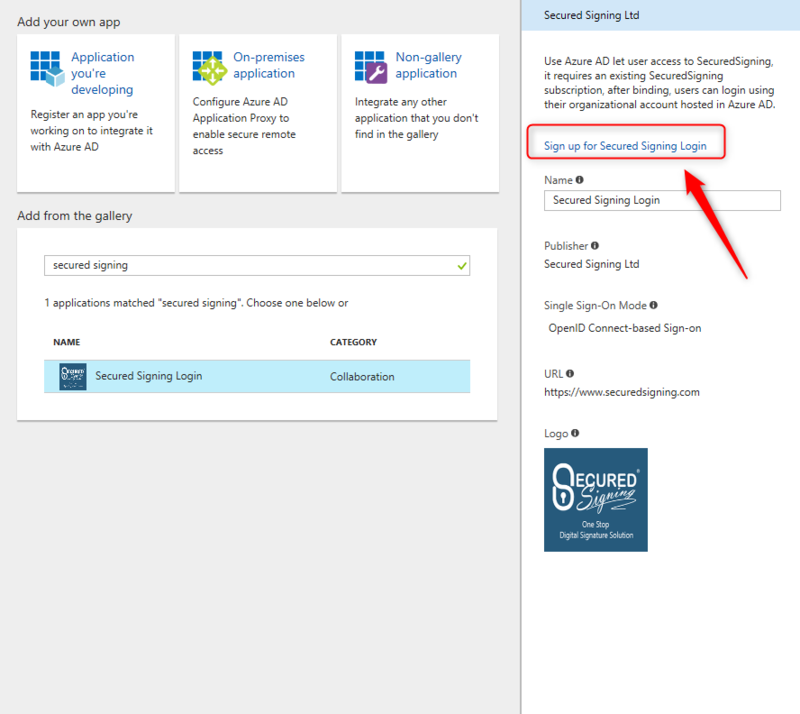 In Add from the gallery section, type "secured signing", then it will auto populate - "Secured Signing Login", click on that. Now, click "Sign up for Secured Signing Login", it will redirect you to app consent authority page. Read the consent information and click "Accept" button to continue. You need an enterprise account to integrate secured signing. 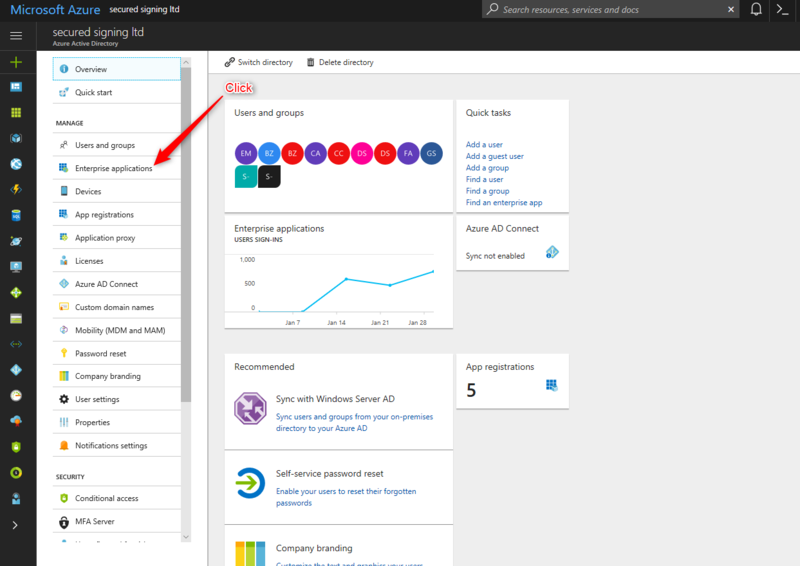 Select the membership that requires single sign on with Azure AD. Click "Single Sign On" tab. 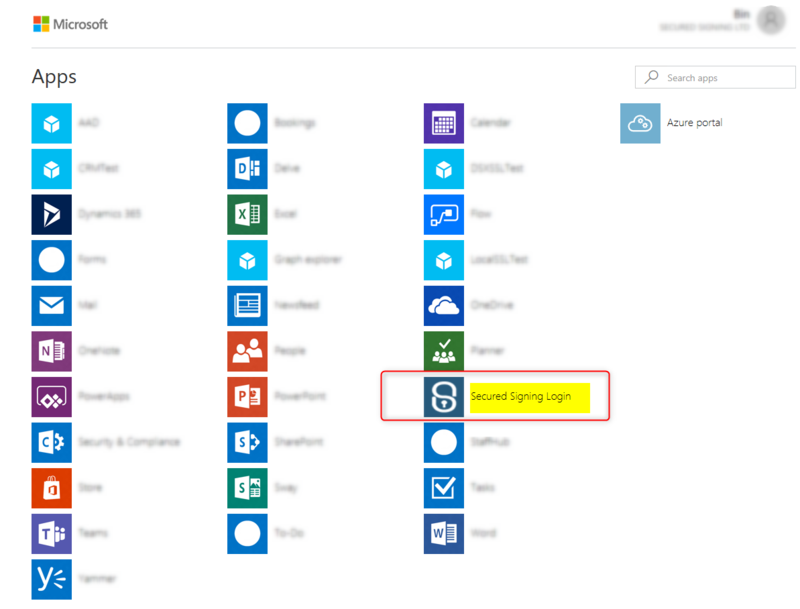 Tick "Enable Single Sign On Azure Active Directory" checkbox. Then, all users in that membership will use Azure AD to login. 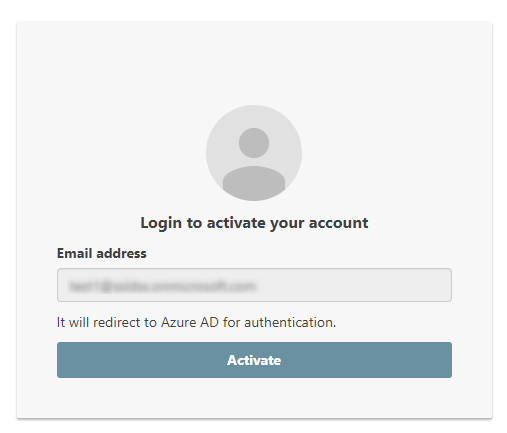 Once new user account created for that membership (Azure AD login) through Enterprise Portal, the user will receive an activation email, click "Click to Activate" button in the email. 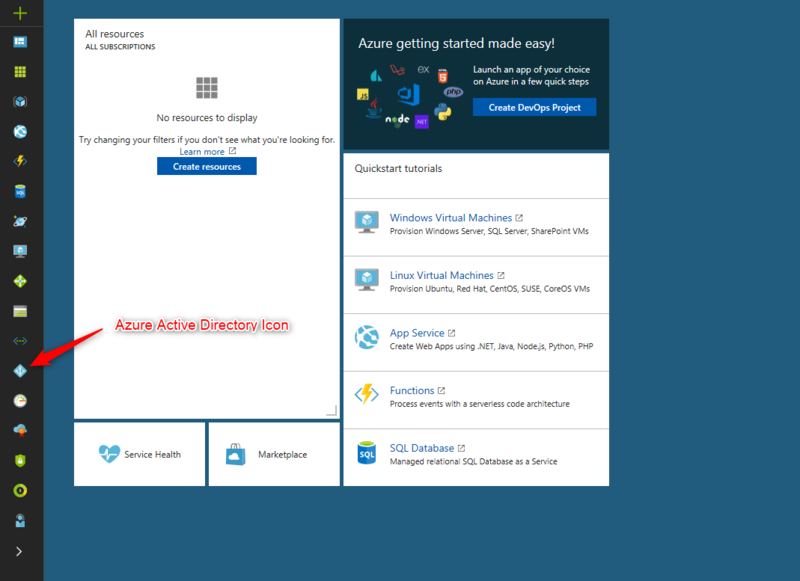 Then in the activation page, you just need to click "Activate" button (the email address already popuped), then, it will redirect you to Azure AD, you need to input your Azure AD password for authentication, after that, it will redirect you back to our website with logined status. 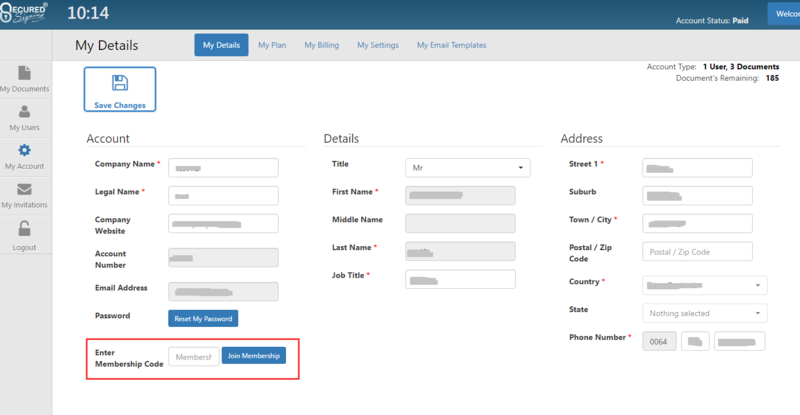 For an existing user, he/she can join a membership by adding the membership code to the "My Account" -> "My Details" page, put Membership Code and click "Join Membership"
Once single sign on (Azure AD) is enabled, the first time each user accesses Secured Signing they will need to input their email to login. A password for this case is not required. The system will check if Single Sign On (Azure AD) is enabled for this user. If so, it will redirect to Azure AD login page. Then the user input his/her organizational logon credential to login with Azure AD server. 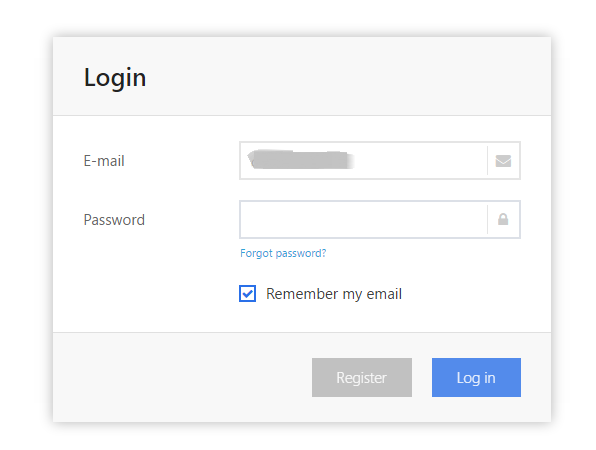 The user can check the option to "Remember my email" to login with Azure AD next time. Once the user has logged in with Azure AD successfully, the user will be redirected to Secured Signing.